God of rivalry and competition. In some versions of the myth, you want to know who was even less important than the other two but has to be mentioned because ‘we can’t just let Nike get the spotlight without giving some to her siblings’? This guy. 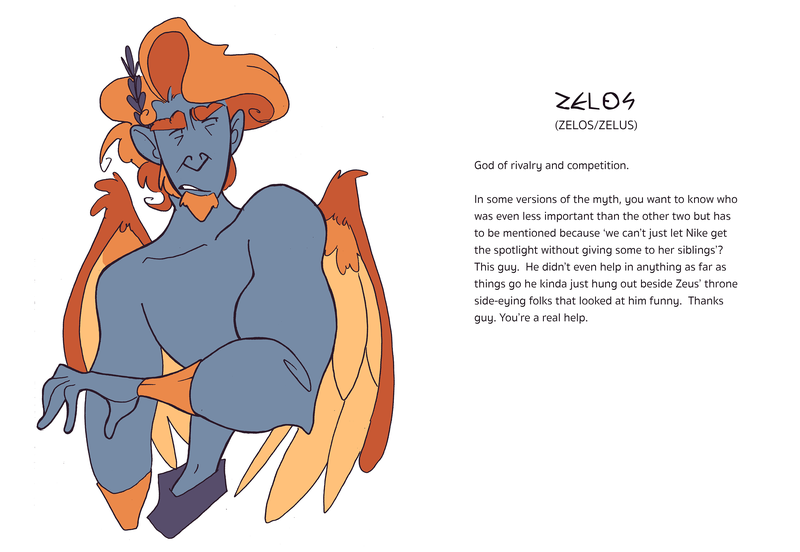 He didn’t even help in anything as far as things go he kinda just hung out beside Zeus’ throne side-eying folks that looked at him funny. Thanks guy. You’re a real help.